The imagePRESS C850 color digital presses offer automatic, real-time calibration and provide tools to help reduce calibration time to reliably deliver high-quality, repeatable, predictable output with minimal operator intervention. The imagePRESS C850 digital color production press offers end-users outstanding quality, productivity, and versatility in a compact, scalable footprint. Designed for small-to-medium commercial, franchise, in-plant, transactional and quick printers, the imagePRESS C850 is equipped to handle a variety of media options up to 110 lb. Cover and validated heavier stocks up to 130 lb. Cover, including heavy, coated, textured stock and envelopes at an outstanding level of reliability and performance. 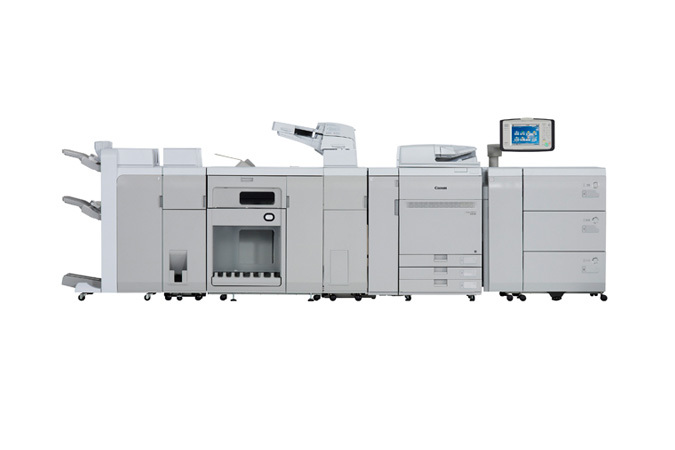 Built upon the successful imagePRESS C800 Series platform, the imagePRESS C850 offers users even more capabilities, ease of use, and productivity.